After a lifetime involved in the family business, in 2016 Richard’s daughter Kimmi Wernli officially became who we affectionately refer to as “Richard the Third” and subsequently the first female president/owner of one of the oldest natural food companies in the nation! 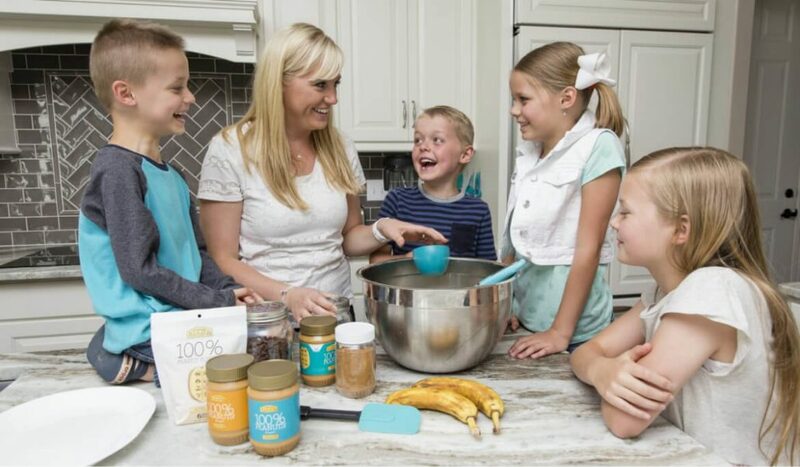 Kimmi had the immediate responsibility to usher her family’s old nut butter company into the 21st century. Kimmi knew that the Crazy Richard’s Peanut Butter Company had outstanding products and an even better core mission, but because of her father’s shy and modest nature, the family’s story was largely unknown to most of their consumers. Kimmi worked hard to establish an online presence with their first e-commerce website, new social media channels with relevant content and a completely updated rebrand of the company logo and labels. Along with moving into a new, much larger warehouse and headquarter facility, Kimmi also consolidated the name Krema to fit under the Crazy Richard’s brand name. Kimmi also … long-time fans now can finally connect with the family at Crazy Richard’s and learn more about who they are, and who they are helping, along with tips, tricks and news from the nutty industry.